The residents of Afrin in al-Shahba canton said that they resisted and struggled for 58 days in the face of attacks and raids by the Turkish occupation of the region. They are determined to respond to the Turkish aggression and will not accept it, stressing their continuation in the second phase of the Resistance of the Age until returning to Afrin after liberation. 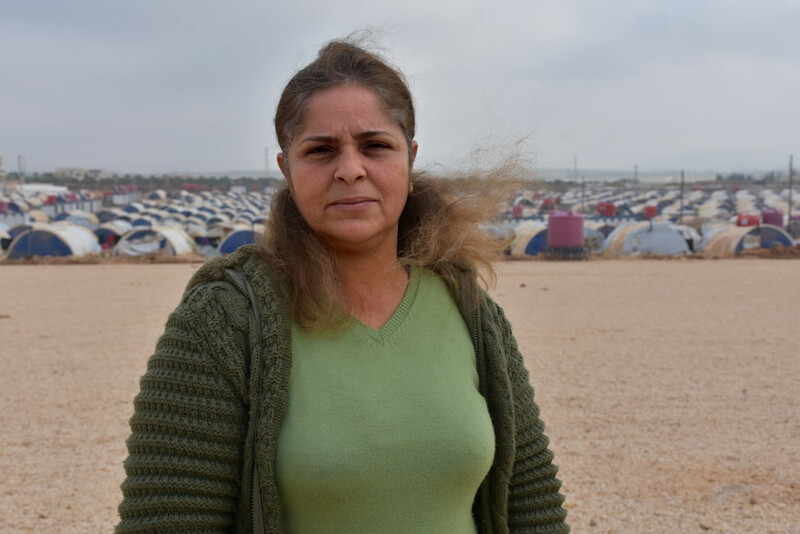 Mona Brem: We faced the second state in NATO, which attacked us with all kinds of heavy weapons and modern warplanes, the attack on Afrin was an international conspiracy, but our resistance breaks this conspiracy. Ahmed Haso: The goal is to annihilate the people of the region and the culture and the Kurdish identity, and as a youth we will defend and resist to preserve our culture and identity, we will resist in spite of the difficult circumstances to return to Afrin. 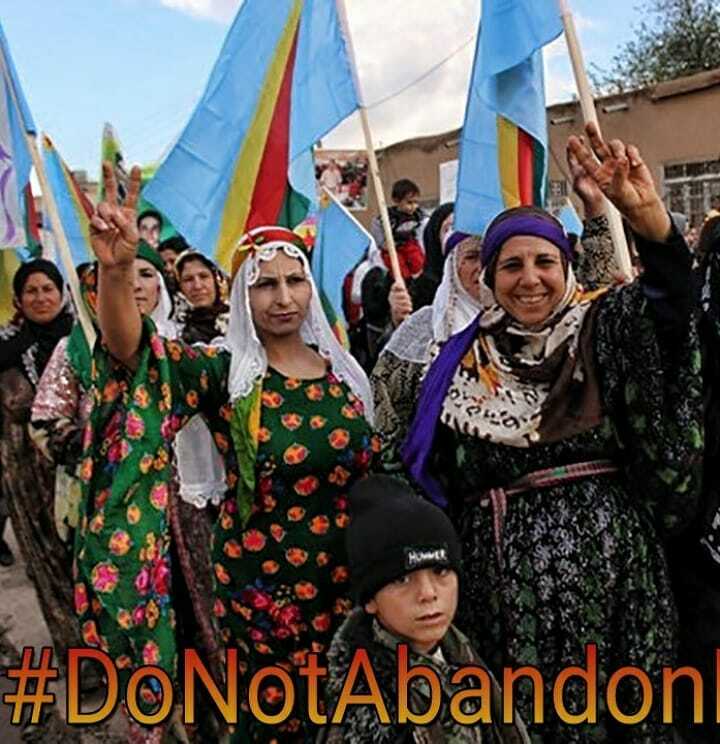 …#RiseUp4Rojava – Defending the revolution together. Rally mass from Afrin and al-Shahba canton’s people and members of Democratic Autonomous Administration to Tel-Qarah village since morning to participation in the demonstration which organized to denounce Turkish occupation change the demographics of the area and looted civilians’ properties by Turkey’s gangs. The demonstration launched shortly after protesters gathered towards Sardam camp in Sowsin village where it will stop there and an event will be held with several speeches. 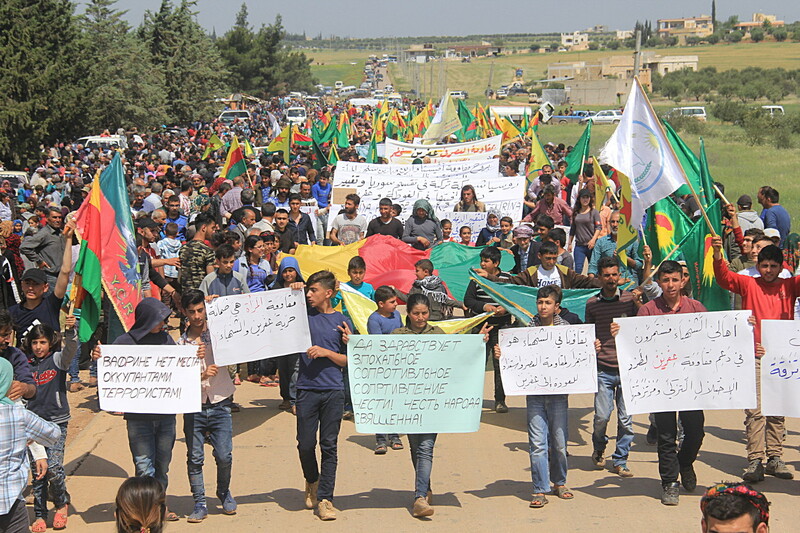 The demonstrators raised banners of People and Women Protection Units (YPG, YPJ)Democratic Society Movement (TEV-DEM), Kongra Star and the emblem of the al-Shahba’s Council. “Russia and Turkey are partners in dividing Syria and changing its demography (Afrin and al-Ghouta). The Gaziantep Council is the mercenaries and traitors’ board. Stop the crimes of the Turkish occupation against our Afrin people . 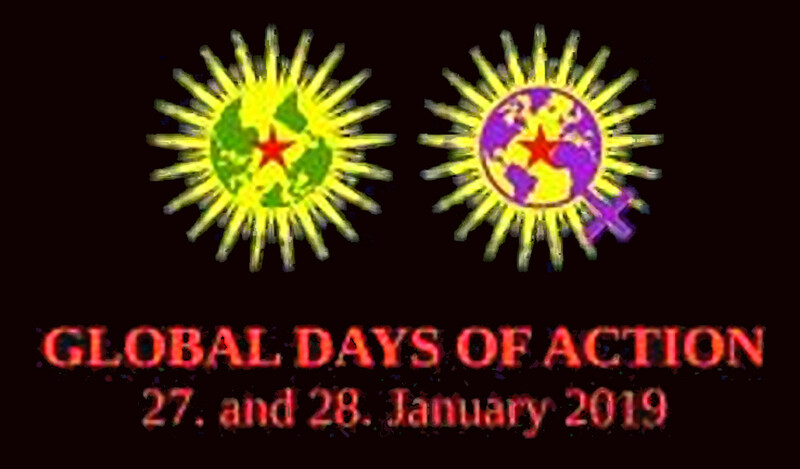 We condemn and denounce the international silence and violations of the Turkish occupation in Afrin. Al-Shahba people are continuing to support Afrin resistance to expel the Turkish occupation.